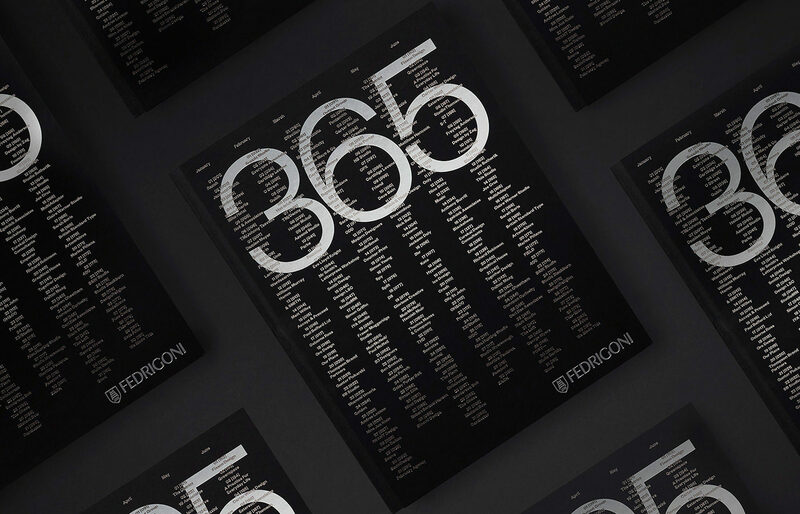 Paper specialist Fedrigoni have created Fedrigoni 365 – a project to commemorate the year 2018. They’ve asked leading UK-based creatives to contribute a piece of work to a design compendium, which takes the form of the Fedrigoni annual Calendar. We’ve been lucky enough to be chosen as one of the design agencies and looking forward to seeing our design in print soon.